Scalar widgets are modular user interface elements that provide additional navigation, visualization, and media options for readers. 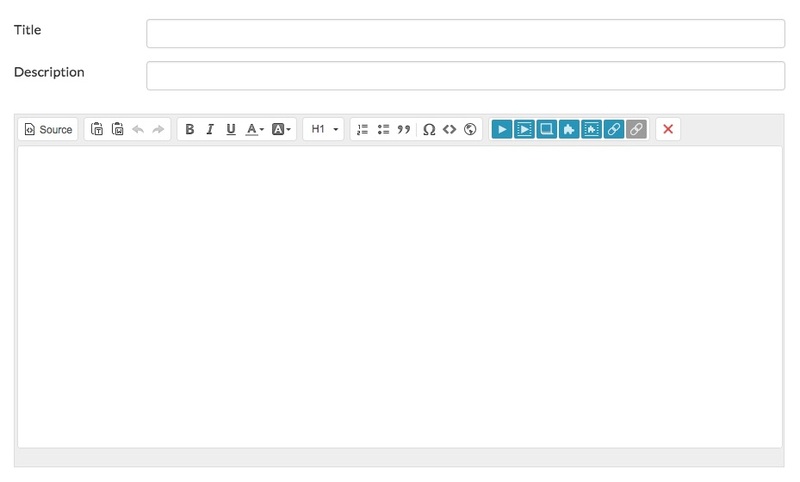 Adding widgets to your page is done through links in the WYSIWYG editor. Like media, widgets can be added as a link or as an inline element. To add a widget as a link, select the text you'd like to act as the link and click on the first blue widget button . Adding a widget in this way will create a hyperlink, for readers, from the text you select to the widget. When clicked, this hyperlink will scroll readers to the widget on the page as well as highlight it. To add an inline widget, place your curser in the WYSIWYG editor where you’d like the widget to appear and click the second widget button . Then, in the formatting options, choose whether to have the text wrap around the widget or have the widget take up its own line and break up the text on the page.